The BugBits kit was developed to perform educational activities with children. 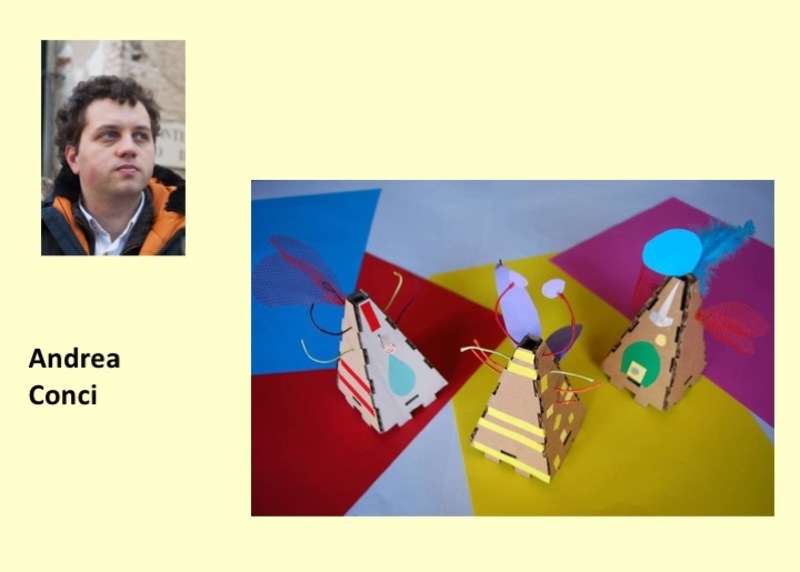 The toolkit was used during participatory design workshops to enable children of different ages to be creative and develop new interactive prototypes. 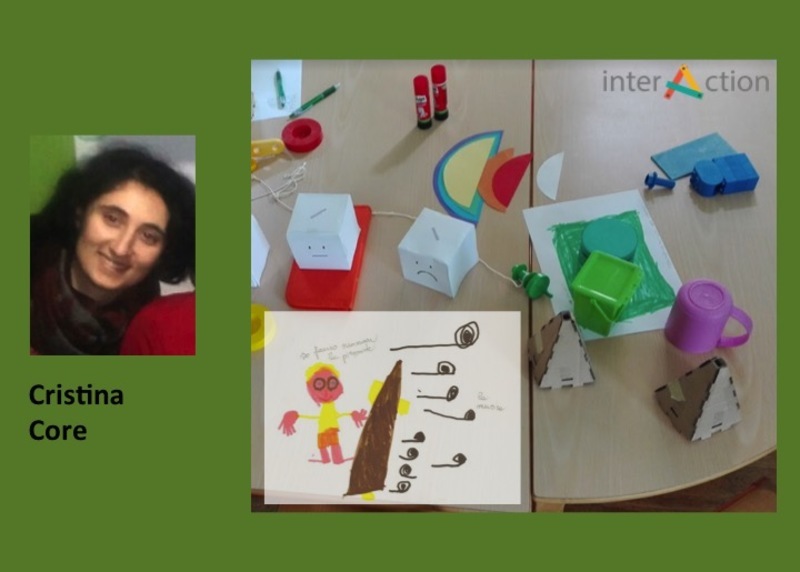 The aim of the research, through the analysis of qualitative and quantitative data, is to identify the design elements to develop TUI toolkits that could keep the children engaged in educational activities, obtain an active and effective participation, and allow them to build new and evolving TUI prototypes. The validity and reliability of drawing as a method for evaluating the User Experience of young children (age 3-6) is the focus of this research. This method is not new in Child-Computer Interaction, but few studies investigated it with young children in the kindergarten. This research analyses data collected in two case studies. According to the analysis, information that can be found in the drawings proves sufficiently reliable to capture young children’s UX, but it is strongly affected by age, and requires a mediation by teachers to be interpreted. Several authentication schemes have been proposed over the years, however, their presentation might be perplexing to the new researchers to this domain, under the shade of several buzzwords, e.g., active, continuous, implicit, static, transparent, etc., being introduced in academic papers without comprehensive description. 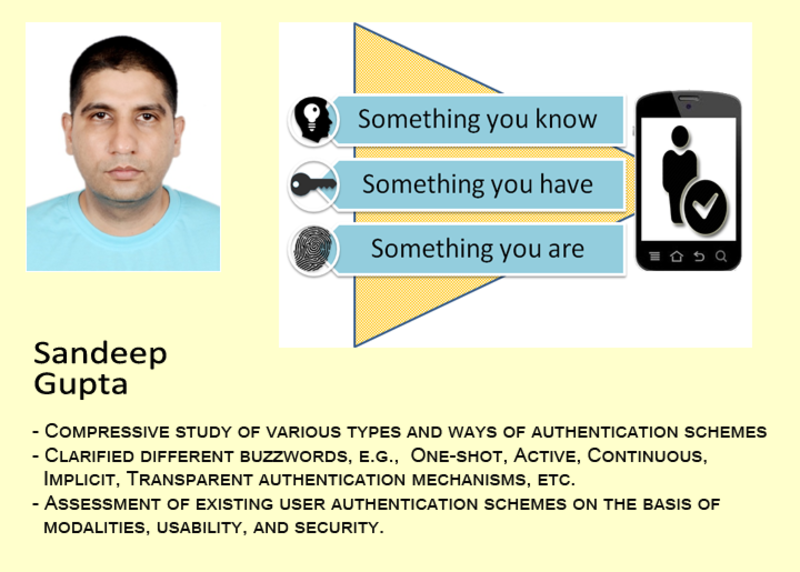 This work surveys various types and ways of authentication, designed and developed primarily to secure the access to smartphones and attempts to clarify correlated buzzwords, with the motivation to assist new researchers in understanding the gist behind those concepts. Literature reviews are the cornerstone of the research activity. 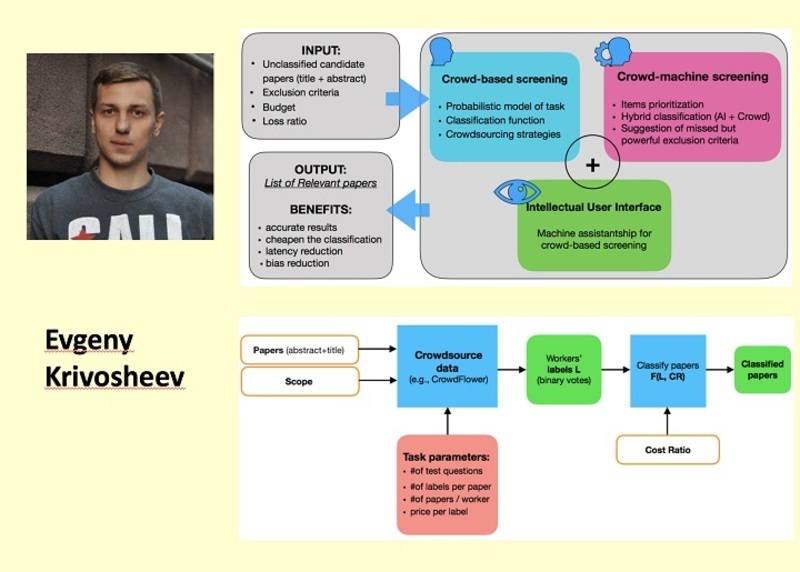 The aim of this work is to design a system comprising wisdom of crowd (i. e., crowdsourcing) and machine algorithms to facilitate the literature review process. The system would make the process of literature review better by leverage the power of the community, faster by utilizing community for screening and filtering out papers that is much faster than we would be able to do by ourselves, furthermore more transparent and cheaper. 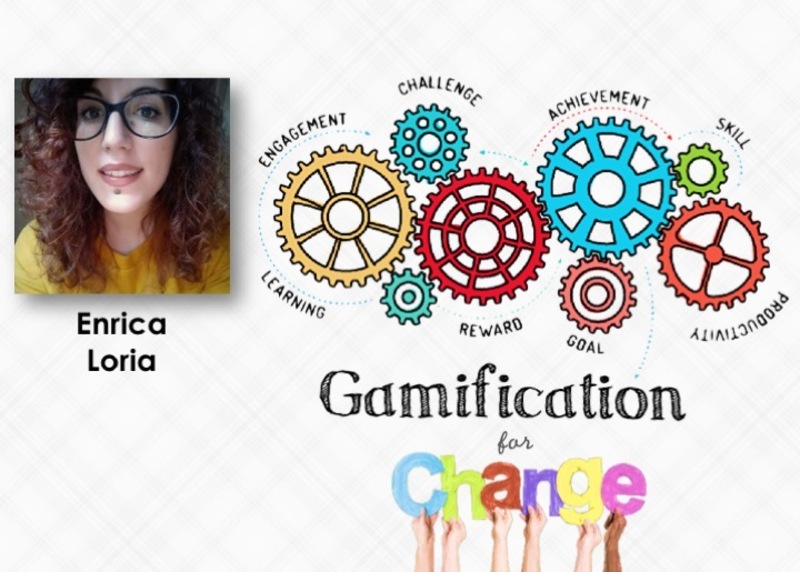 My PhD's purpose is to investigate the factors that affect positive behavioral change when gamified systems are employed as persuasive technologies. 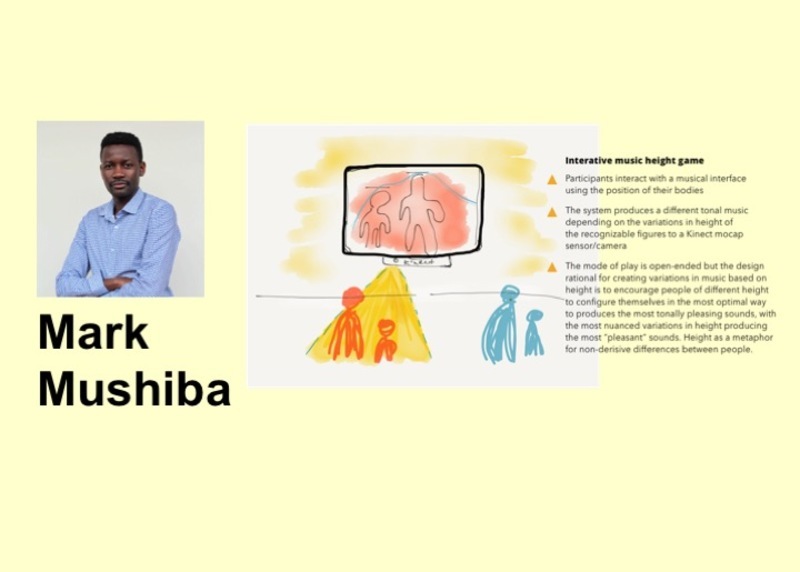 The study is particularly focused on people heterogeneity and aims at investigating how social interactions influence the persuasion process. Promotion of sustainable mobility will be considered as a case of study. In my PhD project, I investigate the use of haptic feedback to support the learning of sports. I chose climbing as case study, an extreme sport that requires a high level of both self-confidence and control over motor skills. 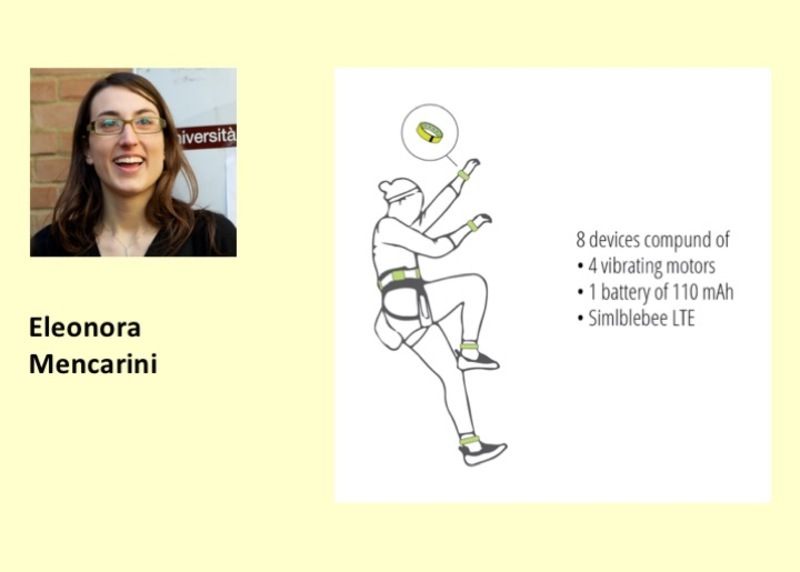 By adopting research methods and practices of Interaction Design (such as Contextual Inquiry, Participatory Design, In-the-wild Evaluation), I aim at designing a usable, useful, and acceptable wearable device for the community of climbers and, at a broader level, for outdoor sports that entail a kind of engagement similar to that of climbing. Storytelling allowed humankind to understand the world through a narrative, sharing knowledge, wisdom and values. 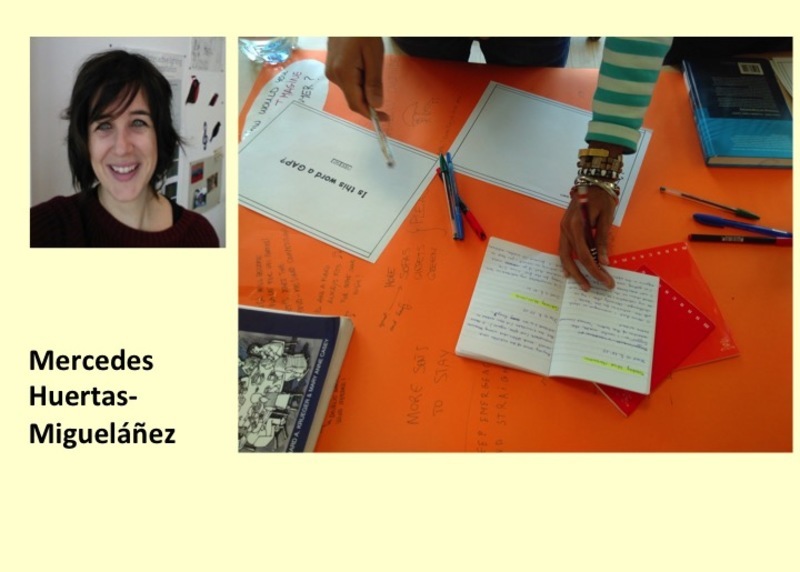 The production of meaningful narratives potentially connects a local community through shared experiences, it acts as a catalyst shaping and supporting its sense of belonging. 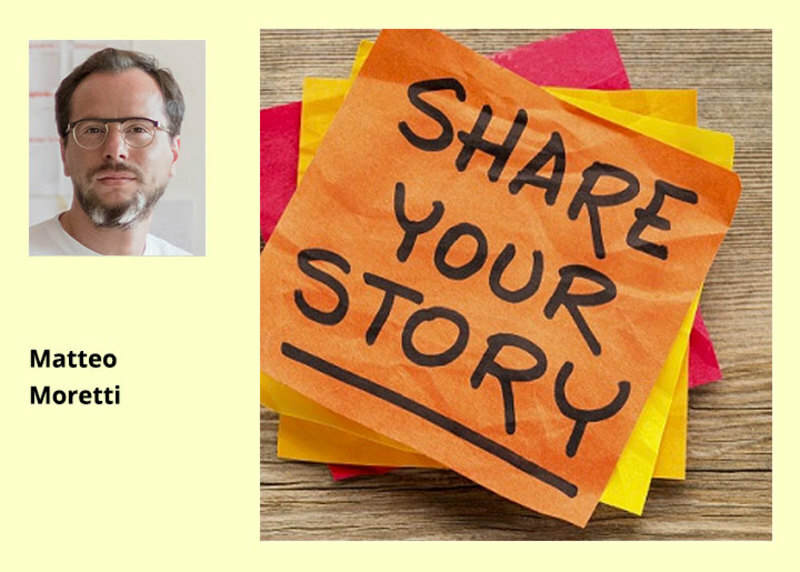 HCI research has not given special attention to digital storytelling (DST) as a tool to form and support a public, especially when the public is online and not locally situated. Current research on DST to engage communities and publics focuses on local groups of people that usually live in the same neighbourhood or district. Persuasive games for intergenerational interaction have emerged as a promising approach to serving the social needs of elderly. Despite reported success, there is a lack of research the illuminates the motivations of elderly to engage with younger groups, especially those of non-familial relation. Furthermore, there is need for clear methods that align these behavioral factors to game strategies for social interaction. This research proposes an investigation into motivations for intergenerational interaction rooted in persuasive game theory. It also explores the use of gameful interventions to investigate and elicit effective persuasive strategies for intergenerational social interaction. In my research I explore the role of information in family caregiving for institutionalised older adults and how the information exchange that could support caregivers. My goal is to understand how to design this exchange, what are the types and optimal amount of information should be exposed to reduce caregiving burden. Trying to help family caregivers maintain their mental state on optimal level through the design paradigm defined as designing calm. I intend to apply it to a number of services where it would impact content, interfaces, and interactions: all important aspects when targeting people in stressful conditions or environments, such as healthcare and caregiving. Diversity in data appears because a real-world object can represent in a various way. However, each representation captures a view of an object. To preserve the richness associated with the data, we follow an entity-centric approach. In this approach, data are represented as entities which are grouped according to their similarity or differences using an eType. 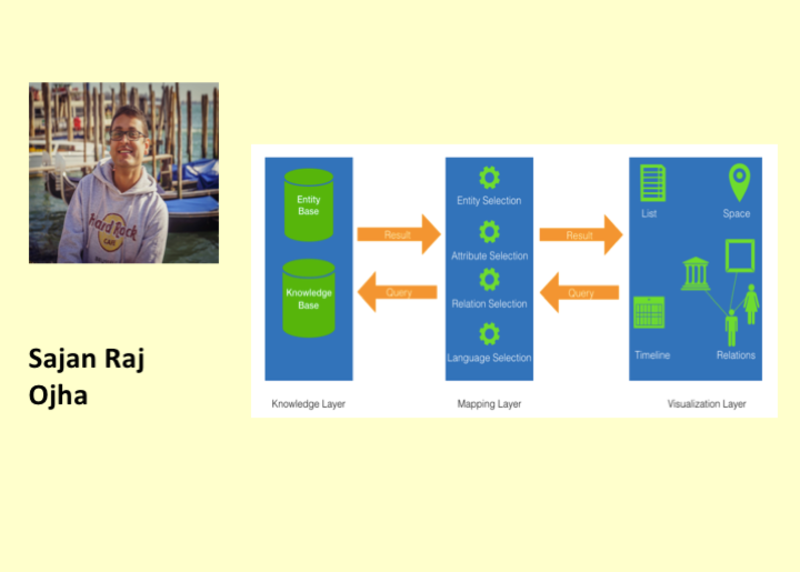 To allow seamless interaction of data with the users, we emphasized on using a multilayered architecture where: 1) data are aggregated and stored, 2) visualized in various contexts and viewpoints simultaneously. This adaptation is capable enough to facilitate exploration of largely diversified data according to users need. My research investigates the question “how to design for the common in precarious design contexts and hegemonic narratives?”, considering design as one of the practices for nourishing the common. 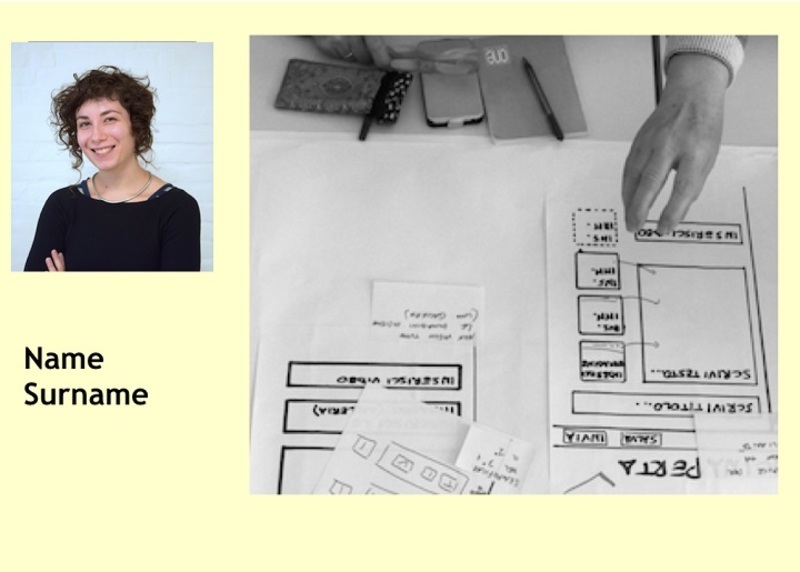 Participatory Design (PD) is applied since it is one of the main approaches to rebalance power-relations. Precarious contexts of design refers to the precariousness of projects based on informal agreements between designers and participants. The empirical cases are located in the field of active aging, that presents hegemonic narratives. An intersectional Design Anthropology in PD can be useful to deal with precarious contexts and hegemonic narratives when making projects that nurture the common. The gender gap in Computer Science is well documented and though recent initiatives have been encouraging more women to take up technology careers, design and production remain male-dominated fields. 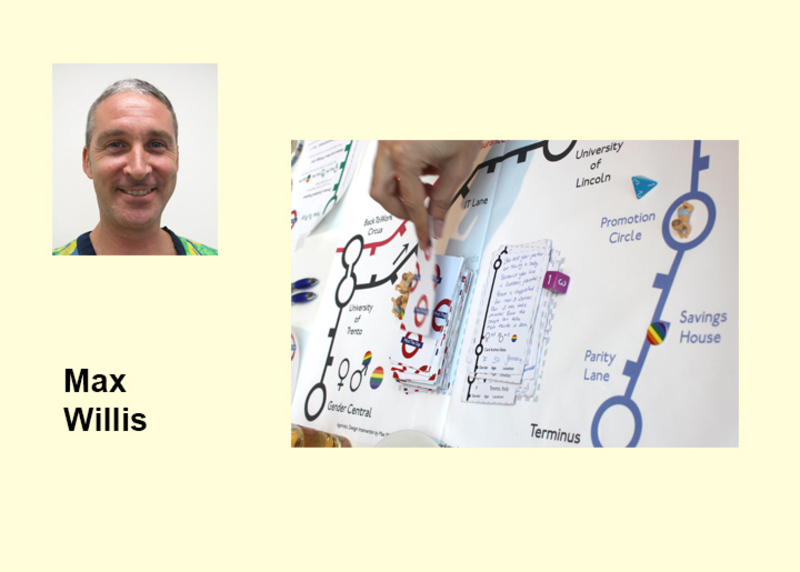 This research introduces Agonistic Design and Mind the Gap (MtG), an intervention that structures playful social interaction in a role-play game to examine this complex issue. 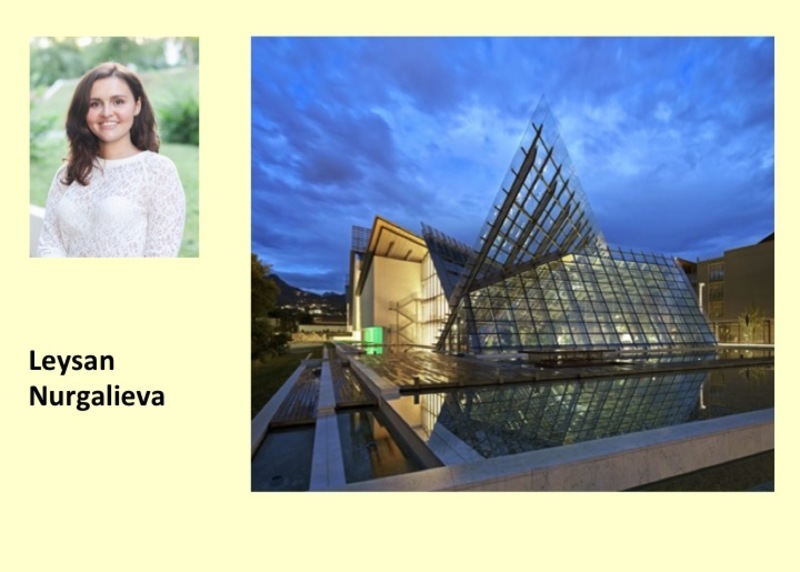 The game illuminates players’ attitudes and experiences through playful engagement, and reveals diverse perspectives concerning gender privilege and discrimination in ICT. The game examines gender not as biological dichotomy but as performance of identity and reiterates the importance to Human Computer Interaction (HCI).